There are few cities in the world with universal recognition such as London. The UK hub of economics, culture, and occasion, London carries with it a certain gravitas that truly needs no introduction. We spent a week there this fall and, while it's not our first visit, its vast size and expansive offering of galleries, shops, and restaurants, always keeps the city feeling brand new. 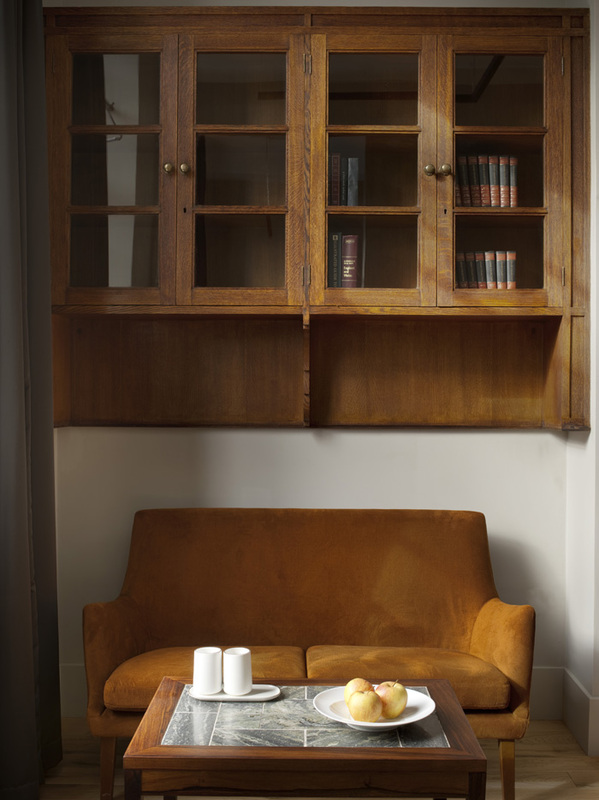 A boutique hotel in the south-west neighbourhood of Pimlico, the Artist Residence London is but one of four unique locations in the AR portfolio in the UK. Located on a quiet residential street lined with 19th century Regency architecture, the AR London has just 10 beautifully situation rooms. While we awaited check-in, we enjoyed a light breakfast of house-made sourdough with avocado and a pot of fresh ginger tea at The Cambridge Street Kitchen—the street level cafe next-door to the lobby. Nestled in a brightly lit corner, we watched patrons both local and from afar dig into plates from chef Elliot Miller and converse over coffee. We stayed in the Grand Suite, an “eclectic luxury” room that welcomed us with a familiar ease. As we took a peek around the suite, our focus was immediately drawn to the bathroom. A spacious enclave outfitted with a double-basin marble counter and Catchpole and Rye soaking tub. If the bathroom was the room’s crown, then the tub was surly the crowning jewel. For the second half of our trip, we journeyed east to the Good Hotel in the Docklands, a quiet waterfront neighbourhood. When we say waterfront, that's an understatement. A redesigned industrial floating platform, the Good Hotel sits at sea level: zero. Standing by wrap around windows gave the illusion of walking on water. A calm resided here despite being just 20 minutes from London centre. A welcomed feeling contrasting the often frenetic energy of London's sheer size. With pockets of inviting space and approachable contemporary design, the aptly named “Living Room” area for guests felt like just that. On clear days with the sun peeking behind London’s stereotypical cloud cover, head upstairs to the Roof with it’s full bar and views of the River Thames. An impressive view too for a yoga practice, which the Good Hotel offers on weekday evenings and weekend mornings. Good for the mind, good for the body, the Good Hotel London is in fact the property’s second location and part of a much bigger initiative. “The purpose is to extensively train locals for various jobs in the hospitality industry.” Job training and placement in London, a ways away the Good Hotel operates with NGO partner Niños de Guatemala too. For every night booked directly through their website, 5 GBP is donated. 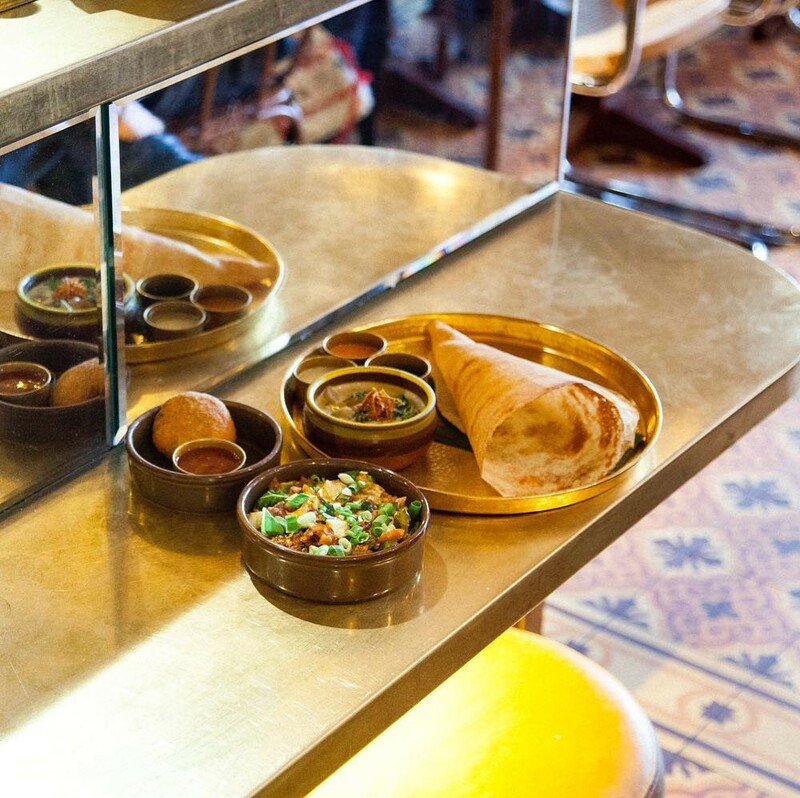 With established restaurants such as the Michelin starred Gymkhana and popular Bao under their belt, Hoppers doesn’t escape what seems to be the Midas touch of siblings Karam, Sunaina, and Jyotin Sethi. 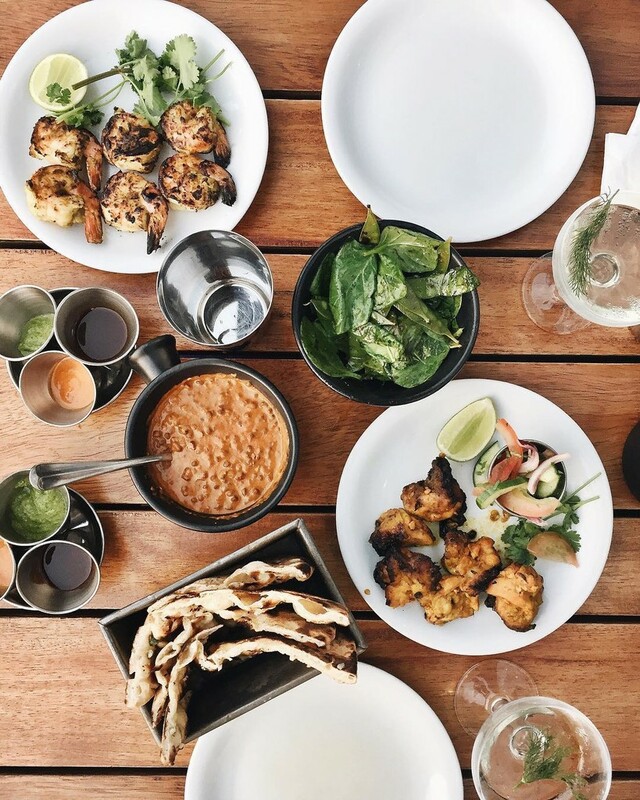 As orders of claypot kukul maas, string hopper seafood kothu, and kalupol leave the kitchen diners are enveloped by tantalizing aromas and edible spectacles of delicate towering bowls of rice flour and coconut milk pancakes. With its paired down and airy dining space, the food takes centre stage at Lyle’s in East London’s notoriously hip neighbourhood of Shoreditch. Relaxed and casual, the setting is unassuming for the fare you’re about to have. Awarded a deserved Michelin star in 2015, Lyle’s menu works with seasonal British produce in an elevated yet relaxed approach. With a young but deft roster both in the kitchen and front of house, if Lyle’s is an indication of London’s dining landscape, the future is looking bright. Encompassing an impressive 10 studio complex in the centre of London, the Store at 180 the Strand is a new meeting place for city’s art zealots. The home of London Fashion Week since its inception in 2016, it has previously hosted exhibitions with Louis Vuitton, Moving Museum and Punchdrunk. The space houses a mix of creative companies including Dazed Media, The Vinyl Factory, The Spaces and FACT magazine. 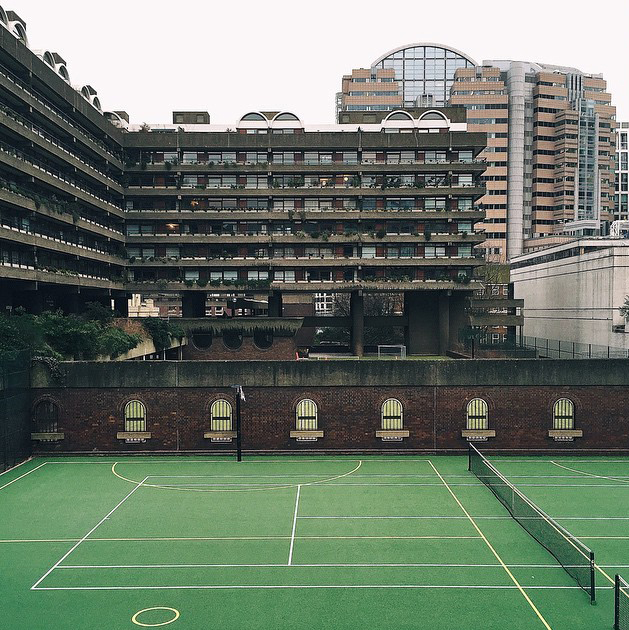 With a world-class arts centre, the second-largest conservatory in London, public library, and YMCA, it’s no wonder why the Barbican is a place of congregation. 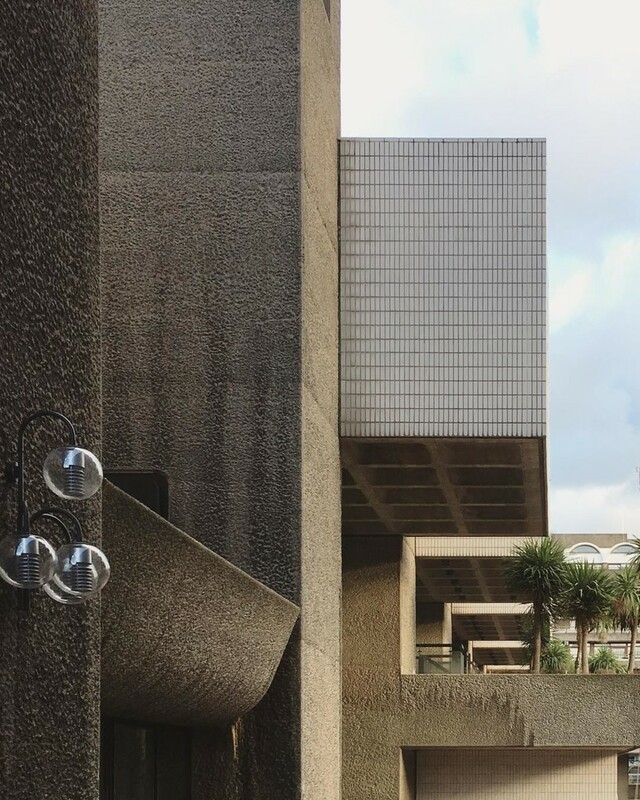 Not to mention it stands as the leading example of brutalist architecture—both beautiful and daunting in it’s scale and glory. Developed during postwar 1960s and ‘70s as a means of affordable housing, it’s matured into something far greater. A tight two-level corner shop in London’s West End Theatre District, is a haven for any art book lover. 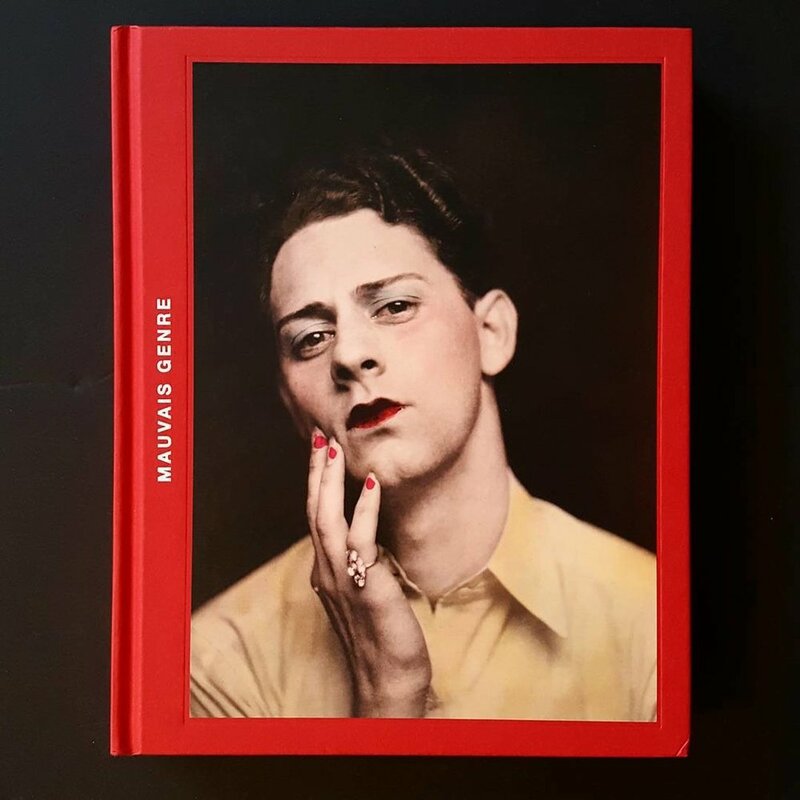 With considered monographs, magazines, and tomes on art, architecture, and photography, don’t be surprised if you walk away with a heavy stack of books in your arms and a considerably lighter wallet. If for some reason you should find yourself restlessly searching for something specific, all Koenig locations (with one in the Serpentine Gallery and the other in the Whitechapel Gallery) have access to the entire catalogue of the Buchhandlung Walther Koenig in Cologne for order. If you look up field notes on Macao, most often you find the best casinos, grand hotels, and luxury shopping complexes. But as we discovered in our 5-day excursion, this little peninsula proved to be more charming than its high-rolling search engine results. With just 11-square miles of land, Macao is an intersection of a handful of cultures. 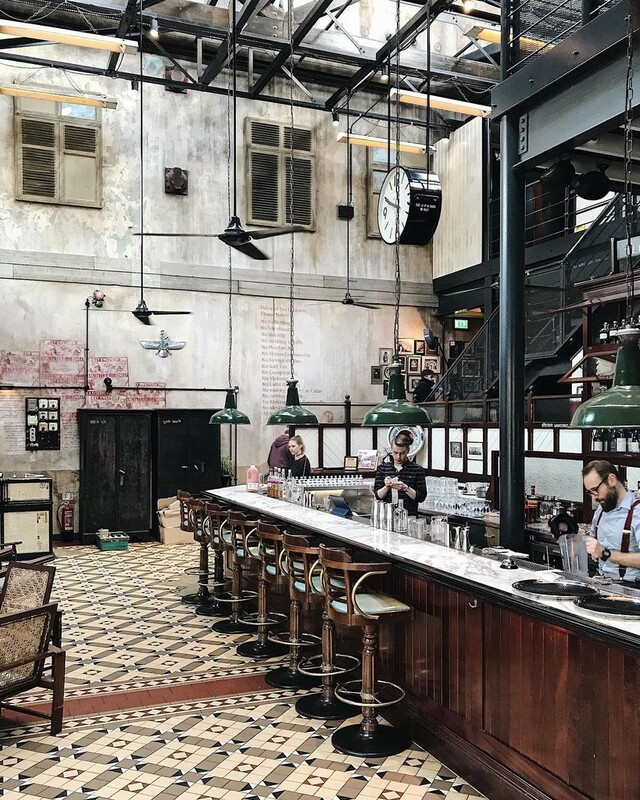 Along the southern coast of China, 40-minutes from Hong Kong, you can find Portuguese colonial architecture, African-spiced national dishes, and a wave of westernized contemporary businesses. This is an excerpt from an original post made in collaboration with Zio and Sons. It’s difficult to put your finger on what exactly Macao is. 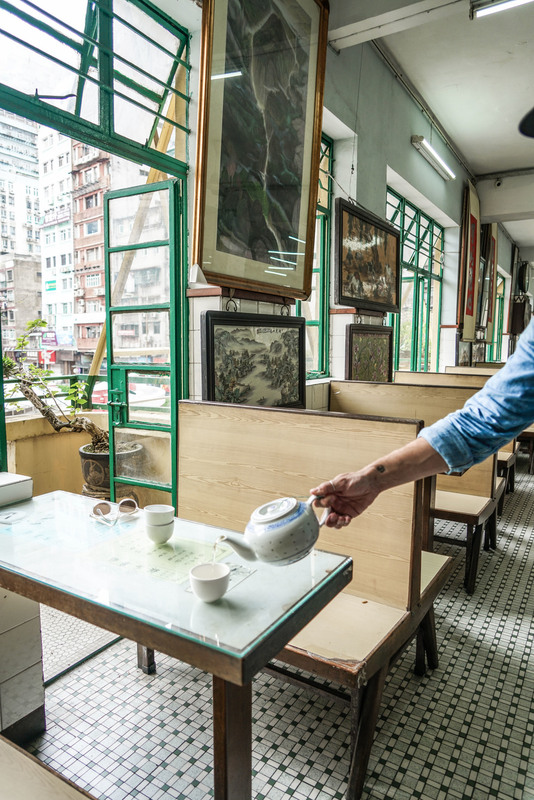 With landmarks such as the Ruins of St. Paul and faded gems like Long Wa Teahouse, there is a strong sense of history. But a stones throw away, greeted with the comforts of luxury hotels and world-class cuisine, there is a perception of a foreigner’s city. At its surface, Macao is a place where tourism rules first. But with just bit of wandering and and open eyes, at its core, Macao is a city of cultures—its own and adoptive—making it an individually fascinating place. MY APT is all about modern minimalism with urban accents which portrays the cool and tough side of the Heima brand. Located in Suite 225 LRI Design Plaza, N. Garcia St. Makati City, it is the perfect haven for those with a more masculine taste. Definitely my favorite doughnut shop in Chicago. Typically there is a line out the door waiting freshly made treats. My favorite is the old fashioned. Art Institute of Chicago has one of the most beautiful staircases in the city. I always love capturing strangers on it. Reno has a really laid back atmosphere for Sunday brunch. My favorite is their sugared grapefruit paired with an iced coffee. Arguably one of Chicago’s most famous and popular landmarks, Cloud Gate is prettiest in the early morning, before the crowds arrive. The Signature Room on the 95th floor of the John Hancock Center gives you the opportunity to take in one of the prettiest views of Chicago while sipping a cocktail. The Skydeck at Willis Towers (or Sears Towers for Chicagoans) is quite the experience for those seeking a bird's eye view of the city. This is one of my favorite coffee shops in the city. It also happens to be a bicycle shop, repair place, as well as a general store. Doughnuts are my weakness. Another favorite, the Coffee Studio is one of my go-to places to get caffeinated and for some sweets. Located in Logan Square, I enjoy this particular Intelligentsia Coffeebar because of all the pretty white details and the tunes they play. It's quite relaxing and all the baristas are friendly. Parson’s Chicken and Fish not only has a great outdoor space with fun picnic tables and delicious slushy negronis but I also love their indoor space as well. We've partnered with Juice Served Here to create a series of four city guides from of their cherry-picked Trailblazers. First up, discover San Diego through the eyes of @melissasonico, a fiction/fashion/lifestyle/adventure writer from Southern California. Next up in our series of City Guides in partnership with Map, we venture the streets of Oakland, though the eyes of @irenekly. Next up in our series of City Guides in partnership with Map, we venture the streets of Portland, though the eyes of @jade_melissa. Next up in our series of City Guides in partnership with Map, we venture the streets of San Francisco, though the eyes of @emmatheyellow. 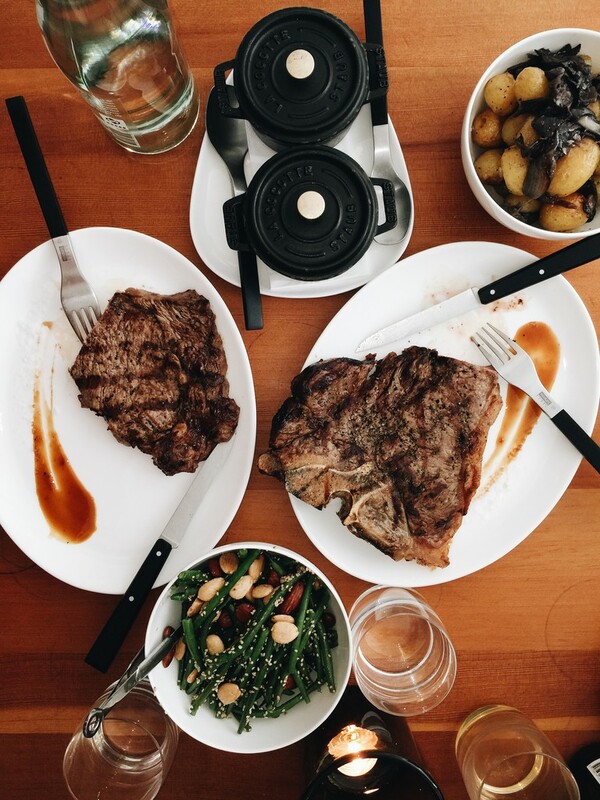 Butcher by day, steakhouse by night. 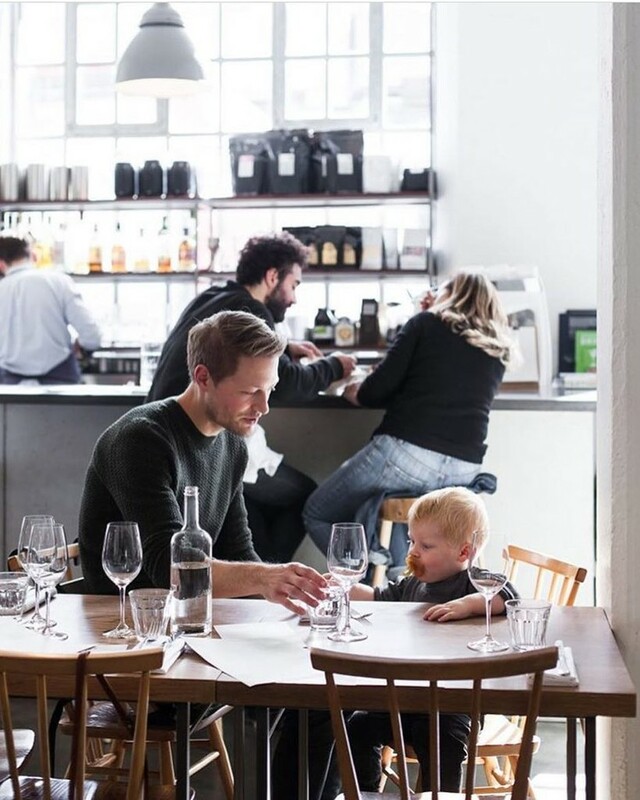 On weekends at Østerbro’s gourmet butcher shop, you can dine on an evening plate of staple meat dishes. It should stand to mention too, that the breakfast compilation of yogurt with homemade muesli, blinis with salmon, fresh fruit, and of course a selection of quality meats such as sausage, bacon, and ham. Set in the adjacent retail and dining room, candles and lambskin rugs set a cosy seating. As the distinctive noise of rolling plastic wheels on concrete trail behind, we approach the stately manor of Town Hall Hotel & Apartments in London’s Bethnal Green neighbourhood. Outside its main entrance, we take a moment to look up at its quiet elegance. Stepping inside, we’re greeted with the grinning marble staircase and warm mahogany accents. Already we can tell, we’re going to enjoy our stay. The hotel, aptly named after its former position as the actual town hall of the East End borough, feels slightly transportative. As though we've step back just a bit to a former hay-day. Navigating the dark hallways and studious corners with deep set leather armchairs to our room we open up to a suite with considerably more space than we've become accustomed to for a hotel stay. Inside the neatly designed Art-Deco quarters, all the comforts of the modern day lie. Spacious rooms and beautiful furnishings aside, Town Hall has more to offer than just a stead. 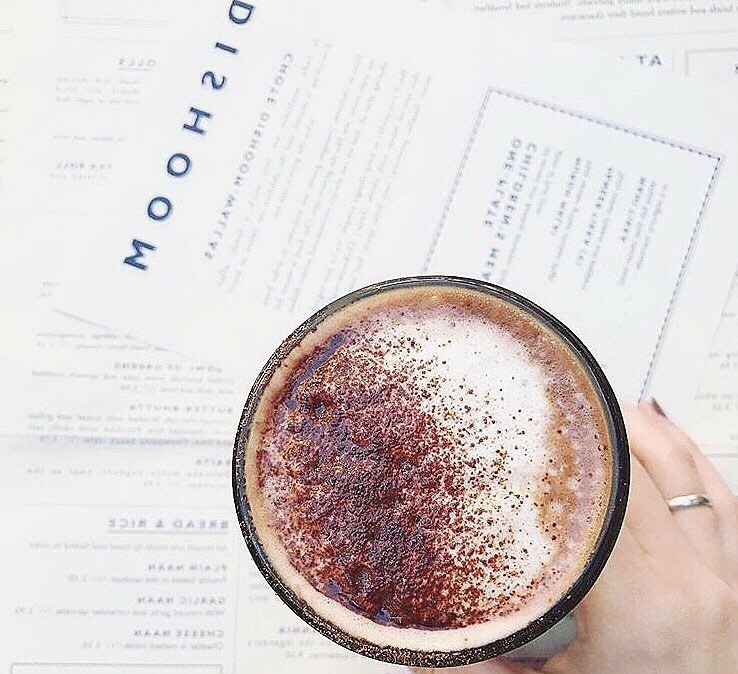 Upstairs for breakfast join other guests and End End locals in the Corner Room for warm English porridge and a brunch buffet. Across the hall in the Ante-Chamber relax in the rich interiors of a smoking lounge with a good book. And should there not be an event going on, pop your head into the Council Chamber for a glimpse at the old town hall’s authoritative glory. For some contemporary fare, downstairs the Typing Room offers 5 or 7-course set menus for dinner. 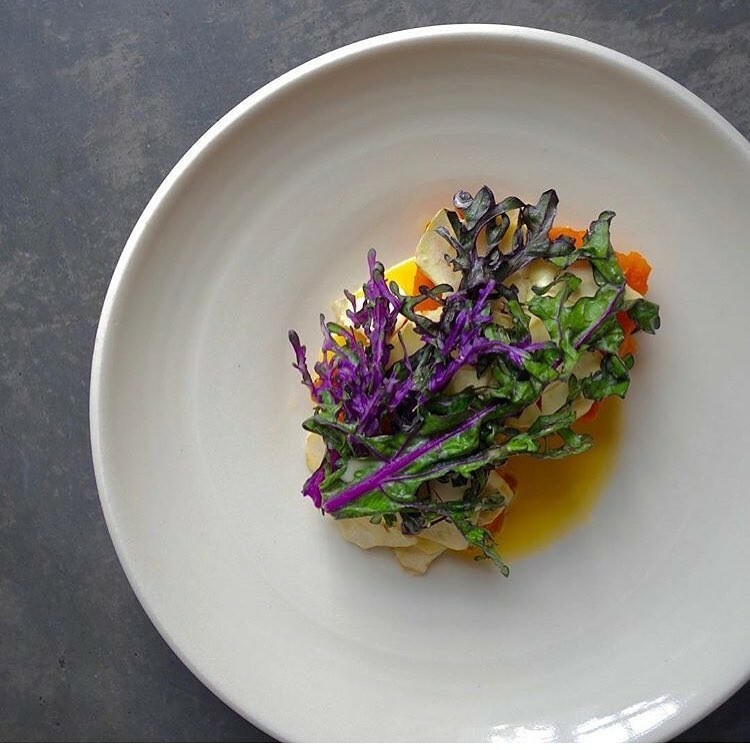 A changing menu, artfully plated dishes such as lamb with smoked aubergine, onions and yogurt, and raw scallop with dill and gooseberries are among what can be expected. And across the hall at Peg + Patriot, a bespoke liquor menu has cocktails for the discerning palate. On the bottom floor, a 50-foot marble clad slimline swimming pool and fitness facilities are available to use of the guests until midnight. And let’s not forget to mention Dizzy, the hotel’s demure rescued Greyhound. Often be found soundly asleep in the halls, approach kindly and she’ll welcome any warm pets. So although it’s difficult to leave the comfort of the bed, pick yourself up off the mid-century modern couch or come to terms that your skin has wrinkled from the long soaking bath, Town Hall Hotel & Apartments, while first and foremost an splendid place to stay, offers much more than just that. Town Hall Hotel & Apartments, Patriot Square, London E2 9NF, United Kingdom, +44 20 7871 0460, reservations@townhallhotel.com. Help us build the Langly map! Show us where your bag has been by tagging your photos #mapxlangly. If you don't have a bag, show us where you'd take one. We're giving away a $300 Langly Gift Card to the best Langly bag photo and one Langly bag to an aspiring owner for the most inspiring photo and story. We're teaming up with Langly, the ultimate photo-adventurer brand, to give one lucky winner a chance to win an authentic Alpha Pro camera bag. We want to know where you would take your Langly bag, whether that's hiking up the Rocky Mountains, sailing along a golden coast or strolling down a crowded city street. apply here using the code mapxlangly. Map your Langly bag or where you would take one. 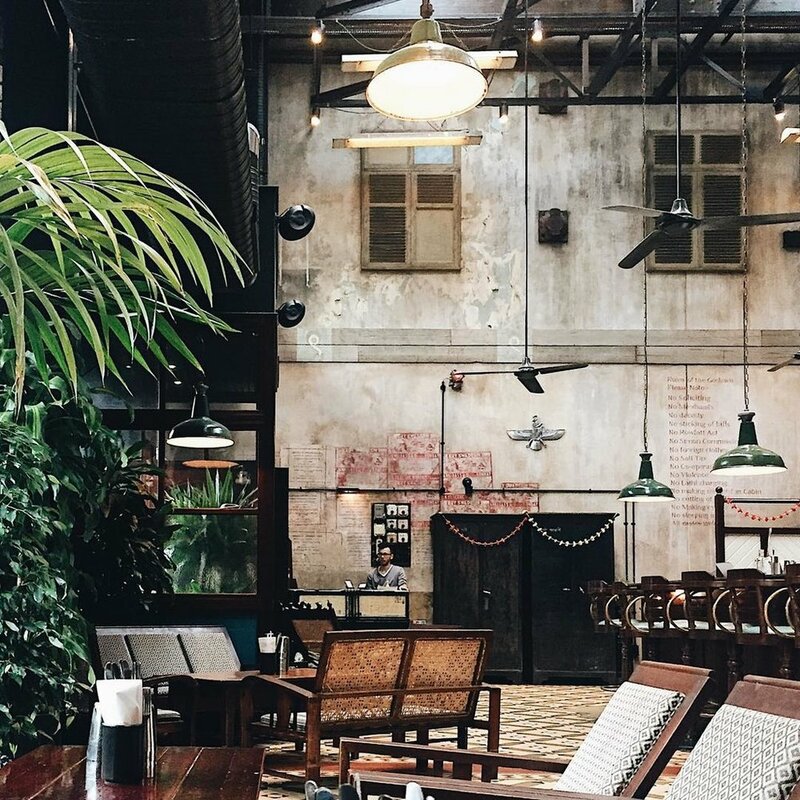 To get an idea of what style and aesthetic we're looking for, see what Langly has saved to theirmap. There are three ways to upload a photo: check this out. Make sure to map your photos with the specific location. We want to show the "where" in #letsgosomewhere. Also, tell us about this place from your perspective. What's the story behind this adventure? Add the hashtag #mapxlangly to each of your Langly photos. This will officially enter that photo into the giveaway. That's it! There is no minimum or maximum amount of photos that you can enter into this giveaway—map as much as you'd like! A winner will be chosen by Evan Lane, Founder of Langly, on the criteria that he or she submits at least one photo to the #mapxlangly map on madewithmap.com. Photos must be submitted by February 15th at 12pm PST for a chance to win. Entrants do not need to own a Langly bag or product before entering this giveaway. If I win, how will I be notified? The winner will be contacted via email by Map. If the winner does not respond within one week of the confirmation email, the winner will be disqualified and another winner will be chosen. The fine folks at Bloom Studio in San Francisco, CA. Dan Cohen not only took that photo, but helped us scout some fantastic locations on Mt. Tam. Thank you Dan! Be a pal and help us spread the word! Feel free to share this image, but please remember to give photo credit to @cohen. For the chance to win a REVISIT iPhone case, we want you to share a view that you love, and why you love it. REVISIT's mission is to use their quality goods to help support and preserve places with national importance that are in danger of being lost. Their 25% donation model is an inspiring example of we can all help to protect the places that are important to us. By entering, you not only earn the chance to win a great prize, but also help to build a community through Map that supports the preservation of our landscape and fosters a deep regard for the natural world and our communities. Share your vision of what makes this planet wonderful so we can continue to #finditliveit. Log on to Map. If you're not already on Map, apply here using the code mapxrevisit. Map your view that you want to preserve. Only new uploads will be counted as entries. There are three ways to upload a photo: check this out. Make sure to map your photos with the specific location! Add the hashtag #mapxrevisit to each of your REVISIT photos. This will officially enter that photo into the giveaway. A winner will be chosen by Map based on the quality of entry and the criteria that he or she submits at least one photo to the #mapxrevisit map on madewithmap.com. Photos must be submitted by May 24th at 12pm PST for a chance to win. The winner will be contacted via comment on Map and announcement on Instagram. If the winner does not respond within one week of the announcement, the winner will be disqualified and another winner will be chosen. so we can celebrate even more inspiring places!